Voted best cosmetic surgeon 4 years in a row by Orlando Sentinel readers. Dr. Jon Paul Trevisani was also recognized as East Seminole County’s favorite Plastic Surgeon as voted by the readers of the Seminole Voice newspaper and the members of the Oviedo-Winter Springs Regional Chamber of Commerce. 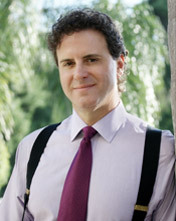 Jon Paul Trevisani, MD, FACS is a board-certified plastic surgeon and the founder of The Aesthetic Surgery Centre. Dr. Jon believes that safe, effective, and compassionate care is the key to producing successful results and meeting your cosmetic enhancement goals. He provides individualized care tailored to your specific needs, and focuses his extensive plastic surgery skills in the areas of breast augmentation, breast lift, implant revision, and breast reduction. Dr. Jon has extensive experience in an array of plastic surgery procedures, including liposuction, tummy tuck, and facial rejuvenation, and belongs to some of the most prestigious medical organizations in the U.S.
Dr. Jon Paul Trevisani is able to successfully combine impeccable artistry with science to create results that bring out your natural beauty and give you a renewed self-confidence. He is proud to have provided Florida cosmetic plastic surgery patients with a state-of-the-art, accredited facility to meet their needs. Learn more about our plastic surgeon and his extensive background and credentials.